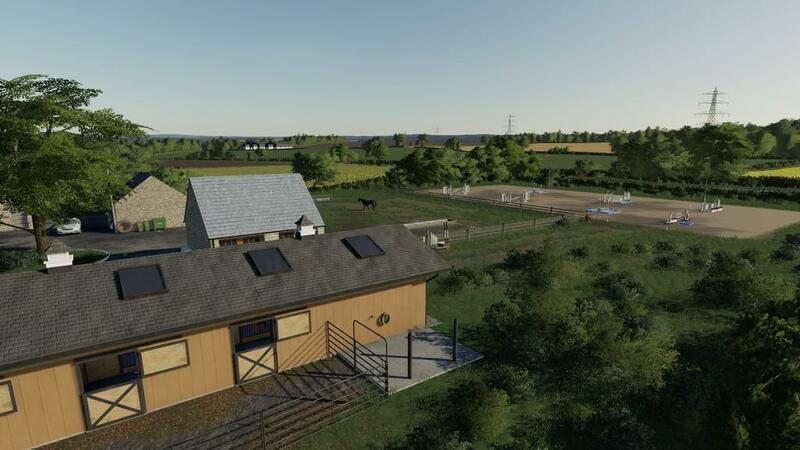 - All animals are built into the map like fs17 but you can add and place your own animal pastures anywhere else. 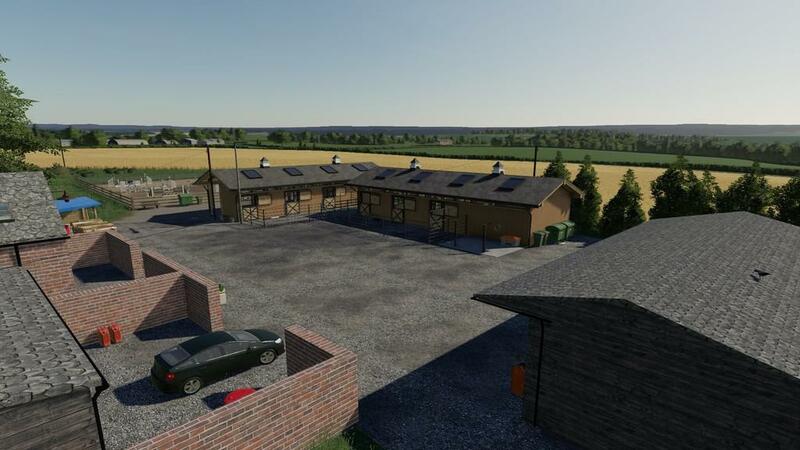 - Main farm can be sold so you can build your own in its place. 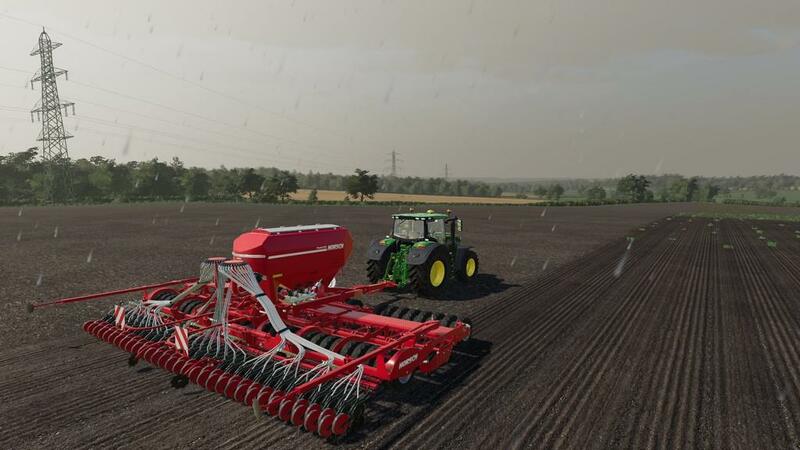 - This map includes all Farming Simulator 19 features. 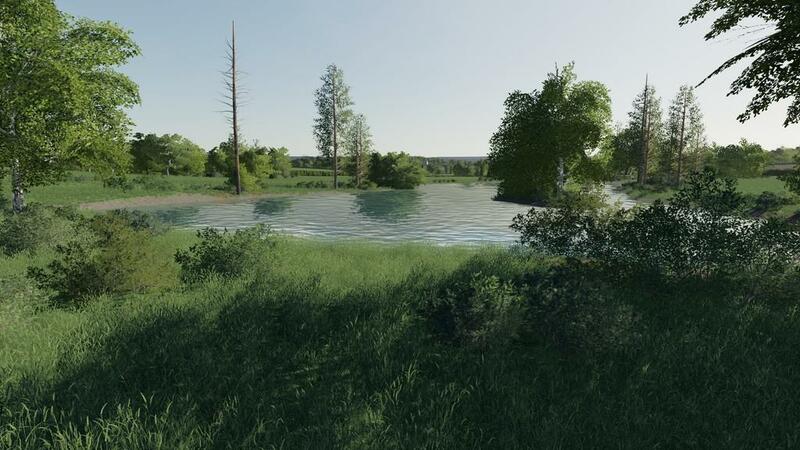 - Custom soil textures (melfoy) distance,grass,ground textures. 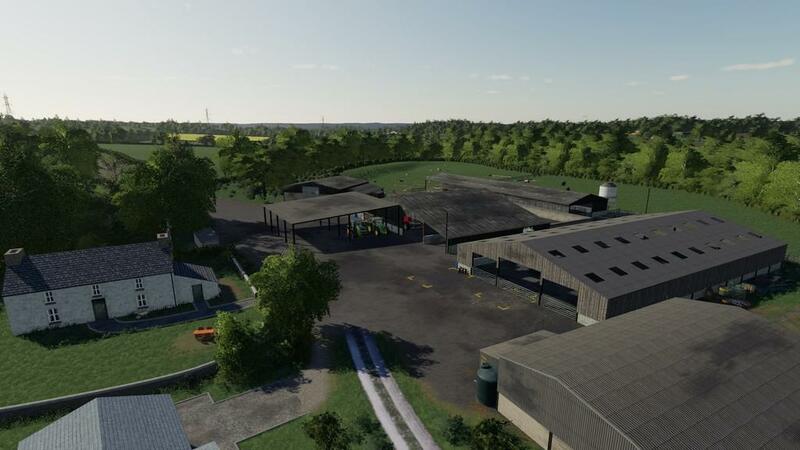 - Two farms (Cows and Sheep) (Pigs and Chickens). - 2 sell points,BGA,Sawmill,Forest,Dairy.Egg sell point etc. 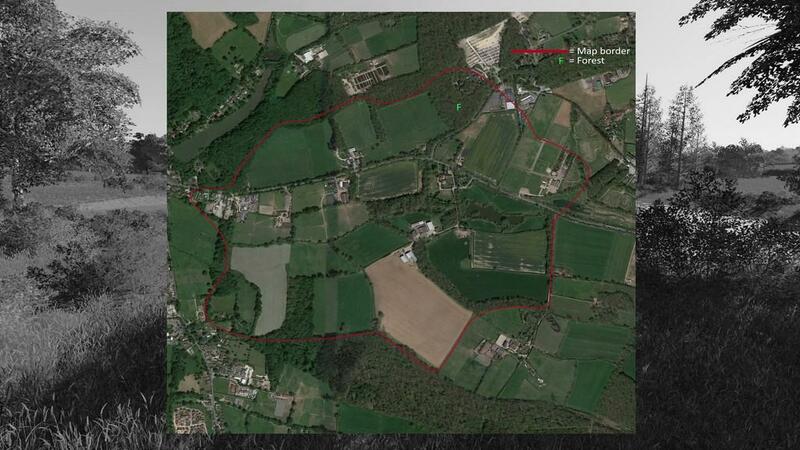 - 23 fields small/medium/large which are all to scale and correctly positioned from real life. - Over 30 Hd new models made by myself. - Custom transport missions and field missions.